chemtex’s rust remover is a derusting chemical solution. it effectively removes rust from iron, steel and most painted surface. it contains acids, surfactant emulsifiers and metal corrosion inhibitors that helps to remove rust quickly and effectively without corroding metal surface. 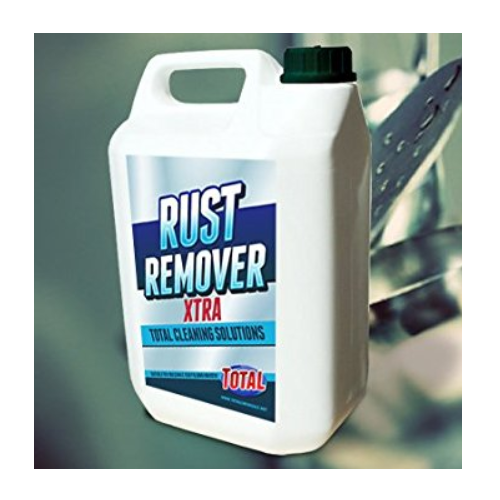 chemtex’s rust remover can be used neat or in dilution of 1:4 parts depending upon the nature of rust. it can be applied in various ways such as brush on wipe off, soaking and filling. for heavily rusted area it is most ideal to scrub the surface and remove excess rust flakes from the surface before applying chemtex’s rust remover. after derusting flush the treated area with plenty of water to remove any acid from the surface. it is most ideal to apply primer after derusting. for more details and guidance on application method, please refer your csl reprensentative. chemtex’s rust remover is available in hdpe packs of various sizes.